Pink Haired Princess from The Shoe Girl Diaries has posted her review of the new Irregular Choice x Star Wars ‘Battle With Artoo’ heels. Interestingly, she notes this new style is more comfortable to wear than the original R2-D2 heels from the first collection – read her full blog post here. Instagram user sithpsychosis has posted a photo of her finished Star Wars skirt – with lights! The skater-style skirt is made from a printed fabric featuring the Star Wars logo, and she has added LEDs for a super-cool effect – see her photo here. Fashionably Geek has shared this amazing DIY First Order dress made by Sew Nerdy! She used a great First Order themed licensed fabric, and Vogue pattern V9145 to create a wonderful custom Star Wars dress! I absolutely love it – check out her full blog post here. Checking out her blog, she also recently created a gorgeous BB-8 themed dress with custom printed fabric – it looks amazing! Instagram user creativelylori has shared her recent Star Wars fashion DIY project – turning a men’s t-shirt into a dress! She picked up the oversized men’s t-shirt on clearance, and cleverly altered it into a fantastic dress – check it out here. 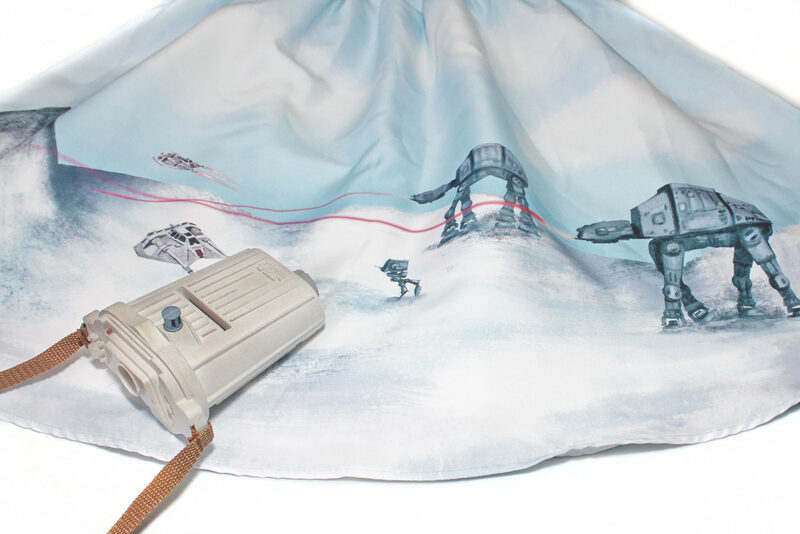 Blogger lovelyritatheseeker has shared 2 of her recent Star Wars fashion purchases – the cute Droids crossbody bag from Hot Topic, and a pretty Ahsoka Tano mini purse from print-on-demand company Society6! The artwork is gorgeous, and looks fantastic as a small purse – check out her blog post here. The Stylish Geek has posted photos from her recent weekend getaway to Disneyland, where she wore some great Star Wars fashion. She wore the her Universe x Star Wars BB-8 dress from Hot Topic, and the new Rogue One t-shirt available at Disney Parks – check out her full blog post here. Instructables member dave.vaness.79 has shared a file for creating your own laser cut acrylic Rebel Alliance symbol earrings. 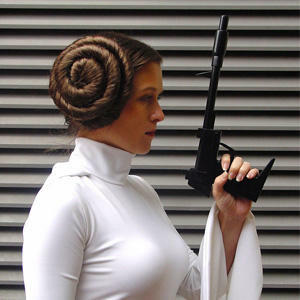 He will also be attending Phoenix Comicon on Friday June 3rd – “So for this Comicon I decided to make Rebel Alliance earrings and hand them out to people that look like they would want them.” – check out his post for more details.